Are you looking for an amazing career that will bring you reward and satisfaction? There is a bunch of various options and welding is one of them. This career is absolutely perfect for individuals who are excited about working with their own hands. If you think it’s your perfect career, read the article below. 4 Where Can Certified Welders Work in Mississippi? If you don’t know anything about welding, this part is for you. In fact, welding is a process of joining metal elements with the help of numerous tools. You need a number of skills to use this equipment for heating and melting metal. Working as a welder in Mississippi, you can earn an average median salary of $43 600 per year ($20.96 per hour). A median salary throughout the country is slightly lower. It’s about $39 390 per year ($18.94 per hour). Nationally, the top 10% of welders have a salary that is about $62 100 annually. The top 10% of welders in Mississippi earn a lower salary having about $61 390 per year. Where Can Certified Welders Work in Mississippi? 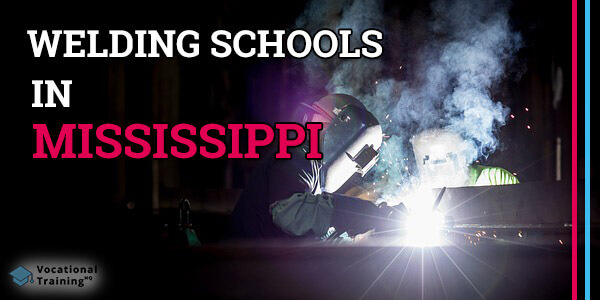 Below there is a list of the best welding certification schools in Mississippi. There are 11 schools that were approved by the American Welding Society’s SENSE Accreditation Program.